Security Systems equipped with sound and movement detectors (Monitored 24/7). Adequate lighting for our yard. 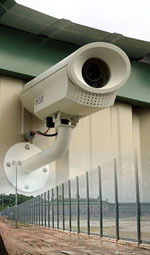 Video Surveillance System with security cameras installed in the warehouse and yard. Security Guard at the gate to register the entrance and exit of every vehicle.